I know in my soul that written in the heart of every human being are the words, “Come Home”. How we choose to get to that Home will determine the extent of adventure we live. 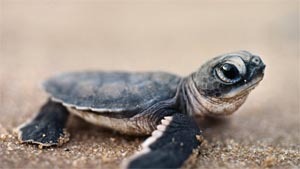 While many think hatchling turtles head towards the ocean, their ancient programming – their instinct – actually tells them to head towards the brightest horizon. The moon shining on the ocean makes the sea their brightest point, the starting place from where they become what turtles are. We’d do well to learn from these newborns . . . to choose the brightest horizon on our paths back Home. For some, physical adventure drenched in adrenalin is the brightest point. They throw themselves towards it, moth to flame, and strike a mix of fear and awe in onlookers – those of us programmed for different adventures. Some pathways Home are highlighted; filmed and lauded, praised and applauded. Testing bodies against the height of mountains or the rolling ferocity of waves; pitting the human spirit against ice or snow or tumbling rocks. Then there’s the path that great movies will never be made of . . . the kind of adventure lived deep inside a willing, learning heart; where the risks are not of broken limbs, but shattered dreams and recovery and starting over, a hatchling seeking that brightest point again and again. There is something spectacular about the path that leads you to many places, across continents and oceans, to meet one person who says or does one thing that will stay with you forever: The man in KwaZulu-Natal who points to the old red and white lighthouse and tells you the beam must flash to prevent migrating birds from becoming fixated on the light and smashing their bodies against the structure; reminding you that each of us has our lighthouse and must find what it is and alter our course . . . The child in Paris who speaks no English but conveys her delight, in stick drawings, that you come from a different part of the world and are so old because she is just six and one day she will travel . . . The Greek who believes she may have been Frida Khalo and introduces you to the Gotan Project and tries to teach you the tango in a small hotel in Napflio; tossing her long, dark hair back with laughter at your stilted moves and encouraging you to feel the music in your heart or you will never let the tango move you as it should . . . The short Italian waiter who used to be a sailor and knows your country by its ports; who won’t seat you in his restaurant because he thinks you’re waiting for a husband and children and why, anyway, would anyone want to eat alone in a restaurant . . . The beautiful Canadian who will freefall from airplanes but not into love because she’s the opposite of you and physical adventure is far less scary than allowing anyone to touch her heart . . . The glorious woman in La Sainte-Chapelle wearing leather pants and loving her violin into praising Johann Pachelbel’s Canon in D on a freezing, stained-glass night in December as you turn 50 and know that if you are allowed to have just one memory in your head as you leave this life for Home, you want it to sound like this . . . The tiny man in Dublin, a Leprechaun perhaps, who tells you that his eighty years of life is due to the joys on an Irish whiskey on a daily basis, then looks at you with sparkling blue eyes and says, “May your walk of life in the New Year be your best walk yet” . . . The friend travelling Asia whose heart broke for a small rat captured by a shopkeeper selling handbags when the little animal began to clean himself – probably in resignation of his fate – and so she bought him, along with her handbags, and set him free. These are not the adventures of the adrenaline-seeker. They are the adventures of those on the long, long journey of overcoming the fear of loving and leaving and putting enough courage together to love again, even if leaving may be the result one more time. They are the adventures of the emotional-risk-taking joy-junkie; the one who knows that standing at Love Lock Bridge on the Seine and seeing how many people still believe that love is as important as being the first to traverse an uncharted desert or sail a storm-battered sea. These adventures . . . they will not happen while you are seated in one safe place, riveted to your computer and your mortgage and your office and your dreams of retirement. They don’t happen when you place obstacles in the path between you and the brightest point on the horizon. They never occur while your heart is filled with the fear of breaking, and you choose the safety of the travel channel on TV over shaking the hand of a street person in California or listening to a taxi driver in Mexico tell you how he adores his wife and children. They happen when you muster every bit of courage it takes to break through that shell and fix your eyes on the brightest point on the horizon . . . and then follow it, with all that you have and all that you are, to become all that you were meant to be . . . on your way Home.